Having prevented an attempt to illegally import the mysterious looking animals, Border Force asked the Zoo’s keepers to look after the Chinese giant salamanders (Andrias davidianus) - protected under CITES regulations – because of their previous experience looking after the aquatic giants. Now, one of the surprisingly charismatic amphibians - named Professor ‘Lew’, which means ‘dragon keepers’ in Chinese - has moved into a state-of-the-art tank in the Zoo’s Reptile House, giving visitors the chance to come face-to-face with one of nature’s giants. ZSL’s Curator of Amphibians, Ben Tapley, said: “We work closely with Border Force to identify unusual animals, but even I was astonished to see that they were Chinese giant salamanders – one of the world’s most Critically Endangered amphibians. “Chinese giant salamanders may not be everyone’s idea of beautiful – I’ve heard them described as giant brown blobs with eyes – but Professor Lew’s crinkly purple tail and slimy smile have already made the newcomer a big hit with all our keepers, who have been finding any excuse to visit the Reptile House. Depicted in Chinese culture for thousands of years, the iconic species is thought to have inspired Chinese dragon legends and even the iconic yin-yang motif - but are facing the threat of extinction after becoming a highly coveted delicacy in their native China. They’re now ranked No.2 on ZSL’s EDGE of Existence amphibians list, which puts unique and threatened species at the forefront of conservation attention. Currently measuring 30cm in length, keepers estimate Professor Lew to be four years old - but the salamander could eventually grow up to 1.8 metres in length and weigh up to 54kg, which prompted the creation of a home that could accommodate the slow growing youngster. The three-metre-long tank took six months to create and was designed to replicate the salamander’s wild environment in the mountainous regions of China. “Creating the right home for any amphibian is a precision process: Chinese giant salamanders need low temperatures, moving water sources and gradual adjustment in water temperature to reflect the changing seasons. 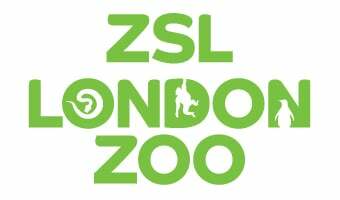 See the myth come alive this Easter by visiting Professor Lew at ZSL London Zoo: plus, get involved in Zoo life with Mini Keepers, an exciting new role-play experience for young animal lovers – free with Zoo entry.